I've been a guest on several episodes of GSL, and in October, I was made a cohost of the show! 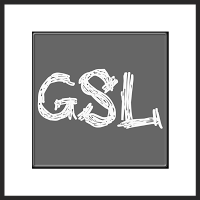 Head on over the GSL page! ​But come on back now, y'hear? Episode 42: We talked about teaching game design. Episode 53: Feedback using the WINQ form.